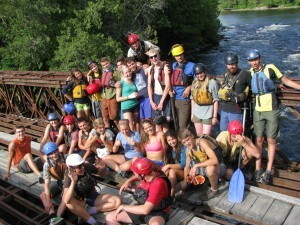 This full summer program for 17 year olds is designed to train participants to lead wilderness canoe trips, to be camp counsellors, and to face personal challenges with creativity and maturity. A strong base is established in canoeing (with ORCA certification), camping and group skills, including leadership, communications, and teaching. The Wilderness Leaders-in-Training (W.L.I.T.) section includes 25 days in the Temagami district, highlighted by a whitewater instructional trip, a lake and streams trip, first aid instruction, and three-day solos. Participants learn to pack, navigate, cook, and deal with surprise situations while in a “Leader of the Day” role. While in camp, newly learned skills will be taught to the younger campers – as well as soft skill development.The Voyageur I portion features a 24-day remote northern wilderness expedition. Exciting whitewater and the occasional upstream paddle provide a testing ground for newly learned skills. The beauty and remoteness of this trip provides an environment that fosters lifelong experiences and memories. For those not able to participate in the full summer, it is possible to register for either the W.L.I.T or the Voyageur I portion. Schedule and pricing for the WLIT/VI program. I just wanted to let you know that my kids had a blast at camp. They could not say enough great things about it. Thanks for taking such great care of them.